There are various red flags that can point towards dyslexia or dyslexic tendencies. 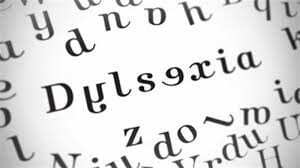 Take a look at our recent blog for more information: What is dyslexia. A dyslexia screening is a quick, inexpensive way to assess if your child is showing the signs of dyslexia. The results are worded as low ‘risk of’ dyslexia or high ‘risk of’ dyslexia. The reason that these dyslexia screening tests are worded this way is oddly not testing dependent, but dependent on the person doing the test. Only an Educational Psychologist or a Patoss approved specialist is allowed to say definitively that an individual definitely has dyslexia or not. It is, however, fair to take it that if your screening test shows a high risk of dyslexia, then your child is dyslexic. It gives information as to the areas that your child finds difficult which enables you to share this information with teachers and other professionals to get additional help for your child. A Patoss (Member of the professional association of teachers of students with specific learning difficulties) assessor can formally diagnose dyslexia. These tests are a little more involved than a dyslexia screening and can be a good next step if you want to have your child’s dyslexia formally diagnosed. If you think your child may have a number of issues, such as ADHD, ASD and OCD, as well as possible dyslexia, an Educational Psychologist may be more appropriate. An educational psychologist is able to conduct tests to assess across a fuller range of issues, such as delayed development, OCD (obsessive compulsive disorder, ADD (attention deficit disorder), ASD (autistic spectrum disorder – Asperger type traits). So this is a good option to review your child in the whole. This depends entirely on the needs of your child. A dyslexia screening is perfect if you think that dyslexia is the only issue for your child and you want a quick and economical test to quickly count it in or out. A Patoss test is more appropriate if you want to have dyslexia formally diagnosed and more specialist testing conducted and are not concerned that there are other issues affecting your child’s learning. If you think a more wide-ranging screening is needed for your child to include a wider range of possible issues with learning, then an assessment by an educational psychologist can be a good choice. Tutor My Kids offer dyslexia screenings. For more information, take a look at our Dyslexia page.